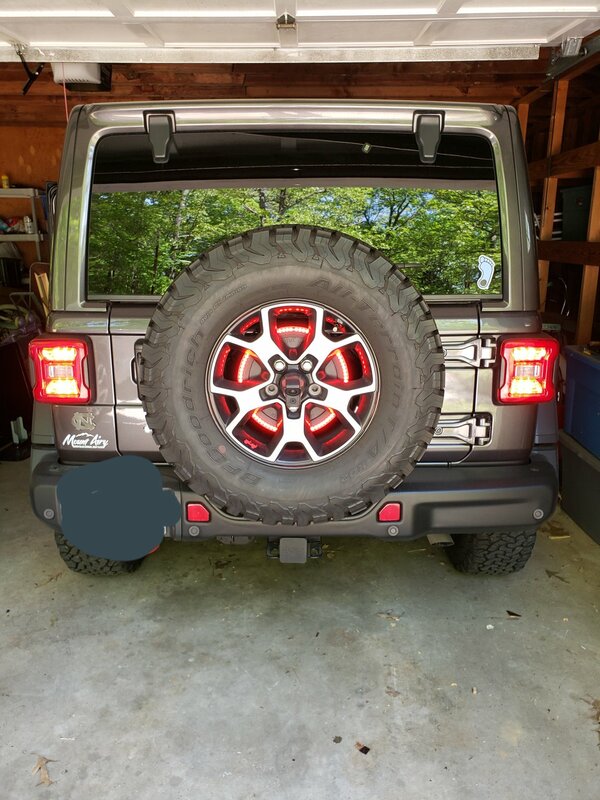 So you installed larger tires on your Jeep Wrangler JL and now your 3rd brake light is useless. 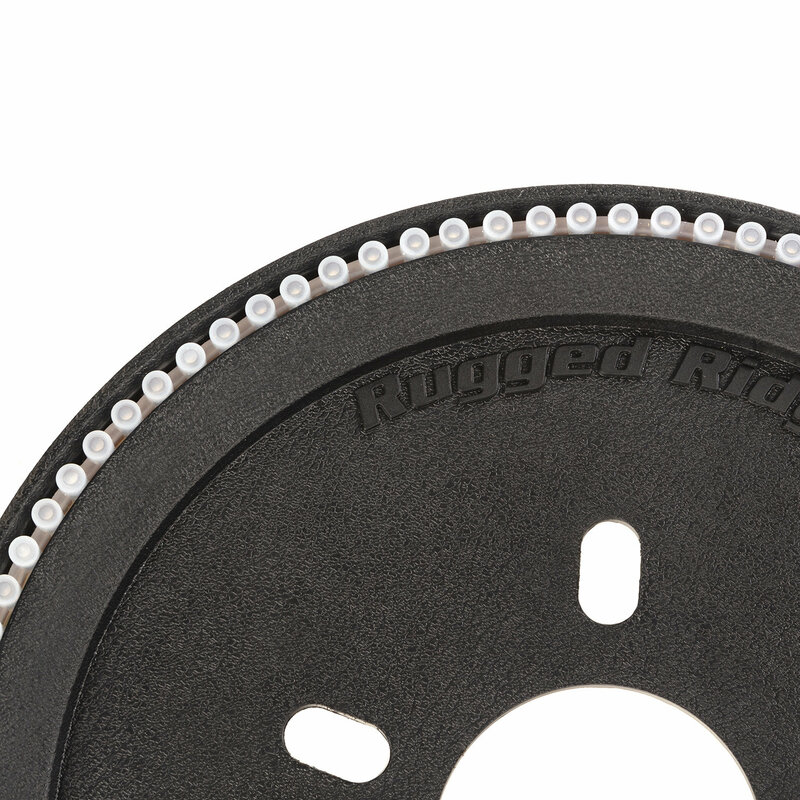 Upgrade to the Rugged Ridge LED 3rd Brake Light Ring. 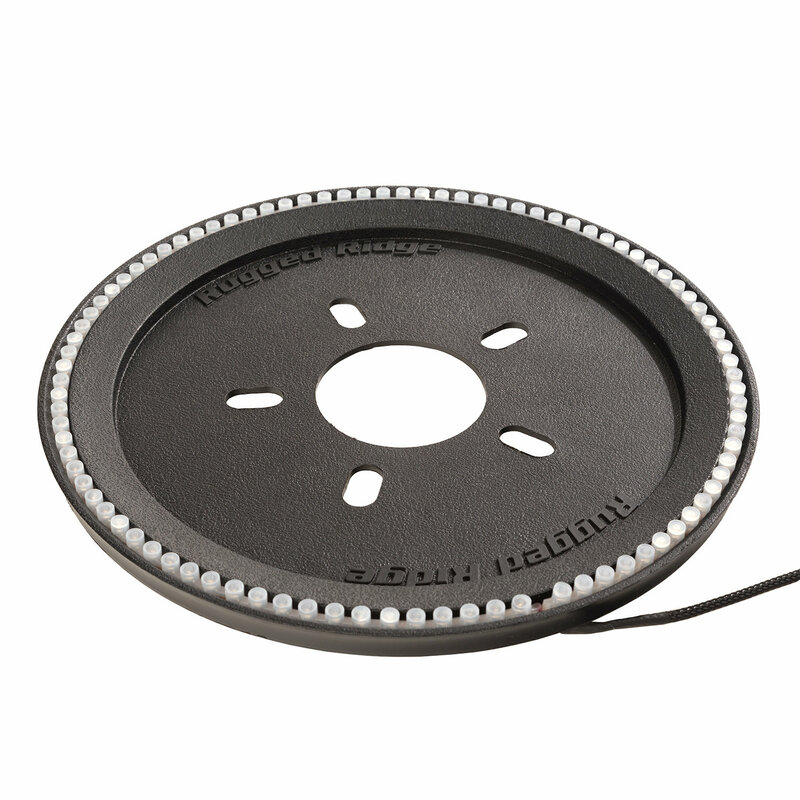 Circular in design mounting to the studs behind the wheel making for a quick installation. 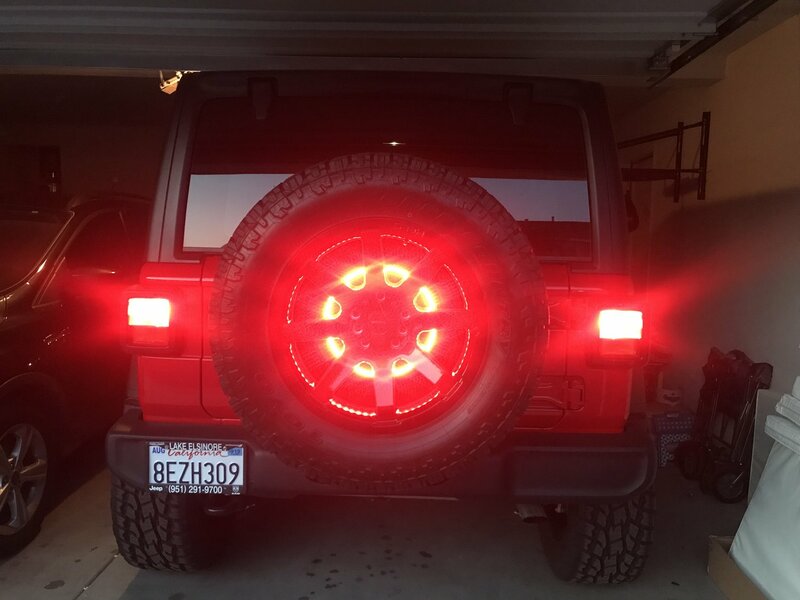 A brilliant red LED ring providing additional visibility to drivers behind you. 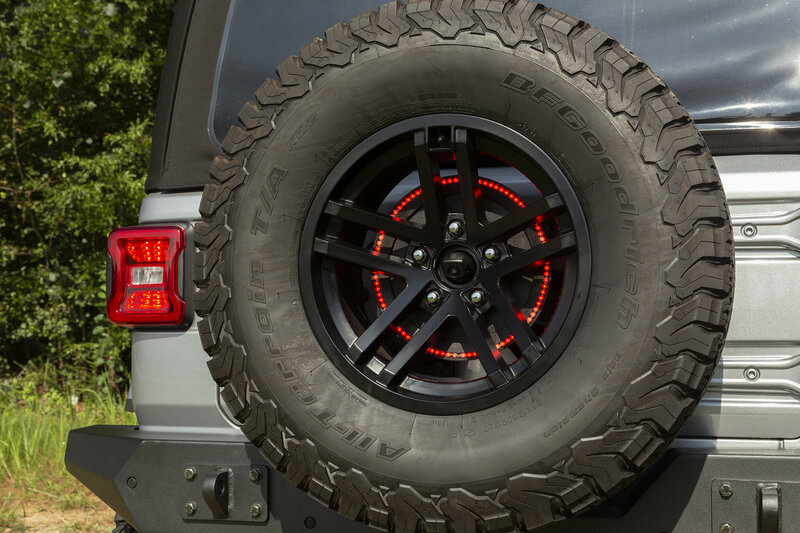 Be noticed and attract attention at the same tire with the cool design giving your Jeep refinement. Fitting a variety of rim sizes from 15-20 inch. Jeepin in style. Style with Function: Keeps the 3rd brake light visible when installing larger tires with a sleek custom look. 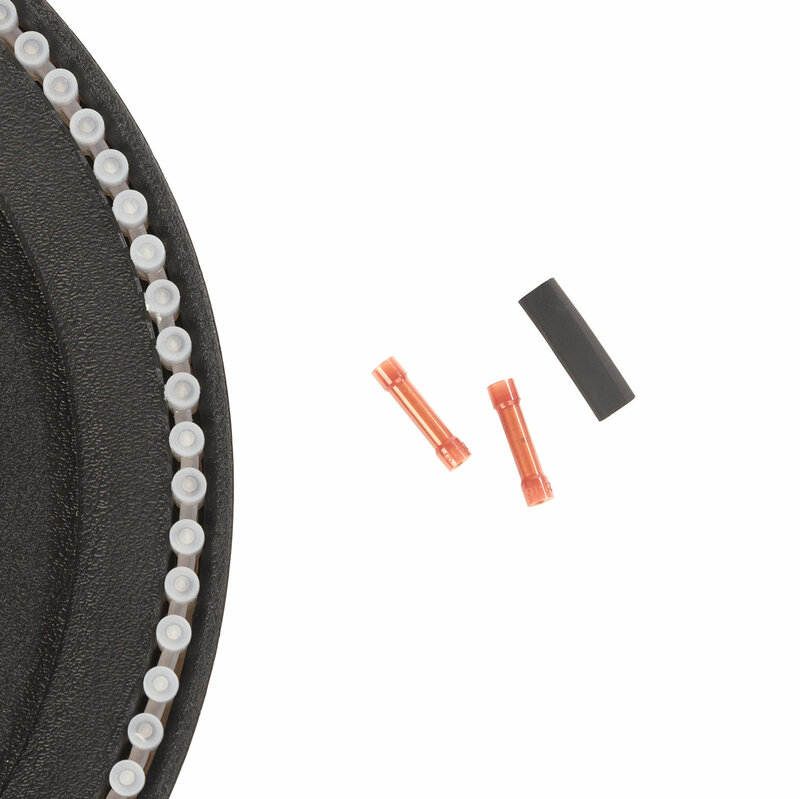 Simple Installation: Mounts to the spare tire studs with ease below the wheel. 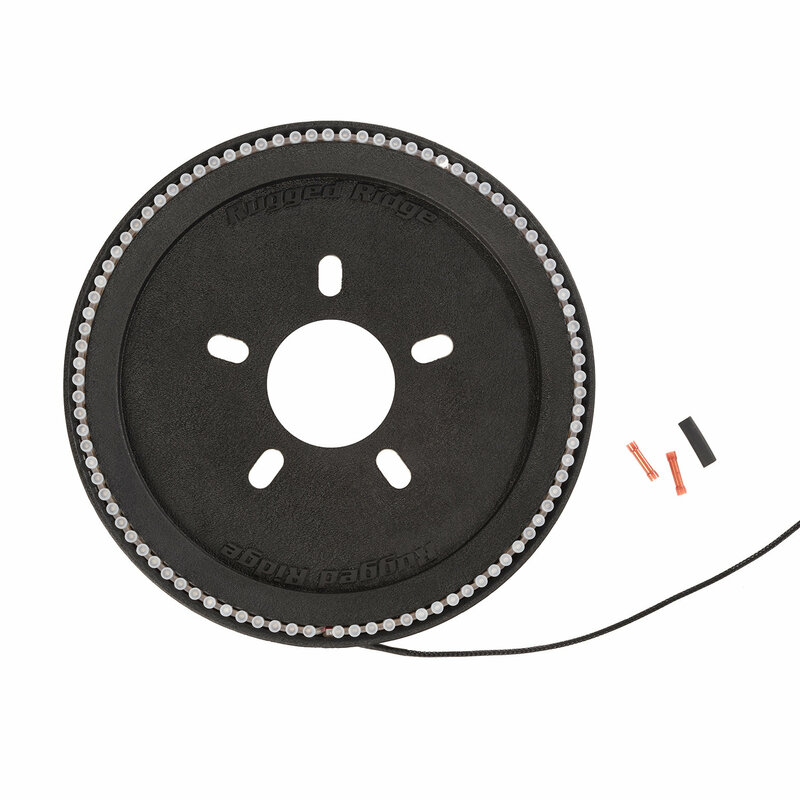 Simply remove the spare tire, slide on the LED ring, Reinstall the spare tire, and connect the wiring. Providing waterproof connectors. 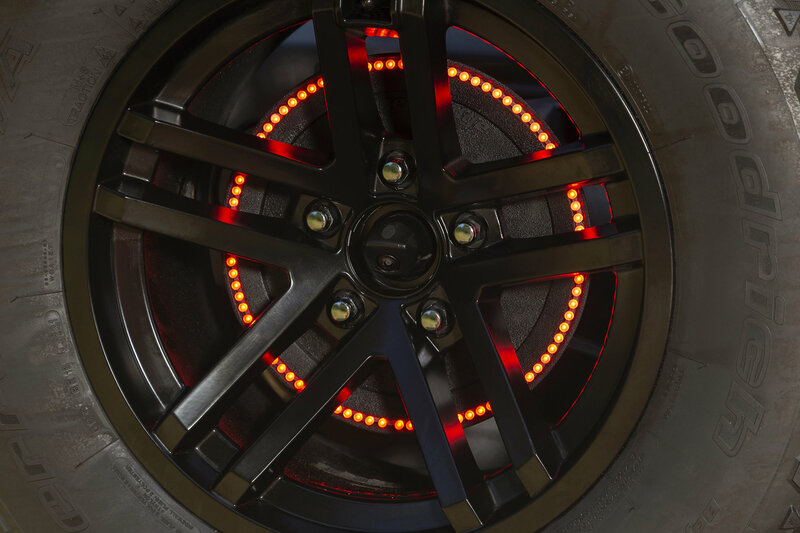 Increased Visibility: A bright ring of LED red lights that are visible through the wheel openings. Very cheap quality and the wires to connect it were way too short to do what the instructions stated. They also totally skipped suggesting how to run the wire from the light bar to the brake light itself. After I worked around all of this it did work though. 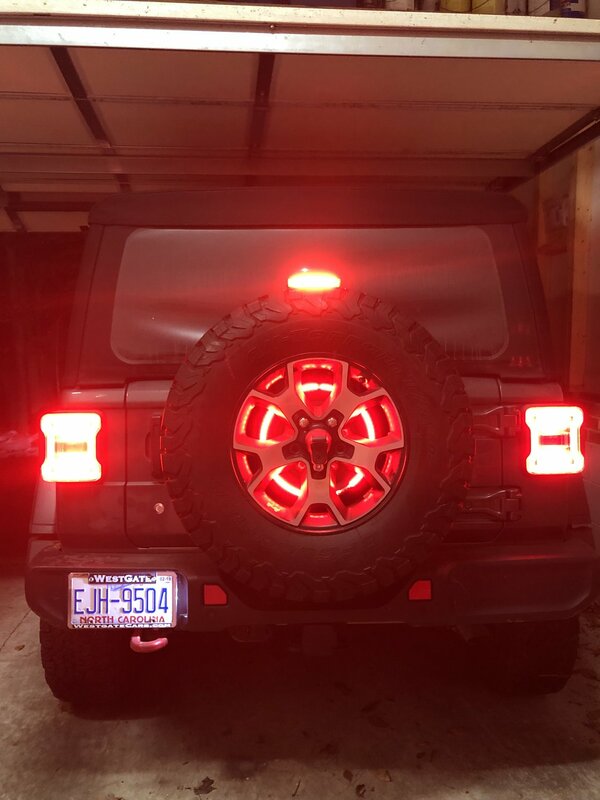 Can this 3rd Brake Light LED Ring be added and used in conjunction with the JL 4-door Rubicon factory-installed 3rd brake light?